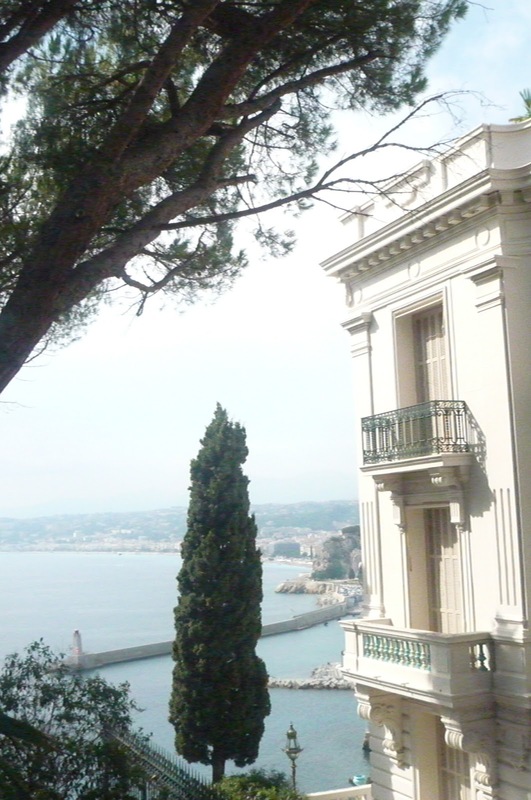 What is in store for the French Côte d'Azur property market this Autumn-Winter 2012? Returning home to Nice from a trip to the UK this week I had one of those moments. (In fact, I have these 'moments' quite frequently.) The plane flew low over the sparkling Mediterranean sea. 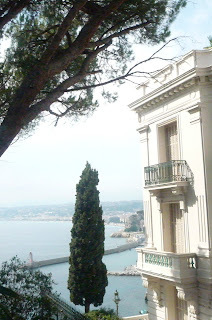 As I glimpsed the Promenade des Anglais and the terracotta roof-tops below, I felt overwhelmingly happy. As artists from Matisse to Picasso and many many more appreciated, the light of the South of France has a quality that seems especially magical after the grey skies of Paris, London, or other Northern cities. It lifts the soul. You actually feel spiritually (and physically) lighter as the coat is discarded and the dark glasses take up their familiar place over the eyes. But what has light and sunglasses got to do with the property market? Well, in these rather grey and grim global times a touch of blue sky optimism can't be a bad thing. But how long should one wait? I have clients holding off until next year, while others are leaping in now wanting to grab 'a bargain'. But quality and stock being limited, bargains are not easy to come by. My biggest fear is that we are in a prolonged period of unrealistic expectations on both sides - the buyers who want too much of a drop and the sellers who won't move on silly prices for average abodes. This always ends in a predictable stale-mate. An unscientific poll of the notaires and agents that I know reveals that the slowest sector of the market at the moment without a doubt is the €500,000 to €1 million range (which is effectively a large apartment on the French Riviera). Traditionally this budget attracted both French and overseas' buyers. With an absence of both, this tier has flat-lined. So what is moving? Smaller investment apartments - studios and one bedrooms - in cities like Nice and Cannes continue to attract cash buyers with an eye on rental return plus the desire to own a bolt-hole in the sun. It is perhaps not moving as quickly as in the past but this sector continues to be within the reach of more buyers. The other level - perhaps surprising, perhaps not - is the high-end luxury property market. As one nationality falls away (British, Americans, Italians...) another is waiting to step in - Australians, South Africans, ex-pats from the Middle East and Asia, and of course the Russians (who never go away). Many rich have remained rich, or got richer. Prices have become negotiable and this makes the Côte d'Azur more appealing than ever. Where once an apartment in St Jean Cap Ferrat seemed unattainable, it now looks possible if you have a million or two. Slightly higher up the luxe pecking order, the historic waterfront property Palais Maeterlink on Cap de Nice sold this year for 48 million euros to a billionaire Czech property developer. Who knows what he would have paid if times had been better. The point is the big spenders are still spending. The plans for Maeterlink are to turn it into luxury apartments. Seizing the moment will, the hope is, beget future returns a hundred-fold (or a million-fold). Hollande's latest backtrack (and we knew these were coming - indeed, had to come) is to reduce capital gains tax on second homes and rental properties by 20 percent for next year. It's a one-off concession for 2013, but if it is passed as law it will offer a little hope to kick-start a sluggish market. Whatever people's fears are for the future, the Côte d'Azur at the moment seems to offer a chance to buy in to an area that might not be so affordable in a few more years once the property cycle has come full circle again. Would I buy now? Yes I would, but carefully and at the right price. Light can be blinding and play tricks, hence the need for dark glasses and common sense in this market. home@coteabode.com. or visit our website www.coteabode.com.